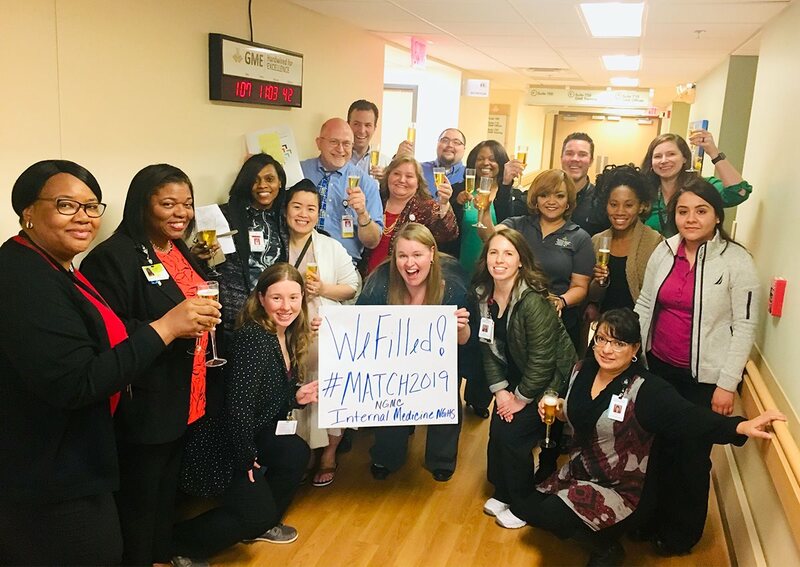 The first class of residents at Northeast Georgia Medical Center (NGMC) participated in National Match Day on Friday. In the months leading up to Match Day, physicians applied to participate in the National Resident Matching Program and interviewed at schools across the nation. After those interviews, residency programs rank preferred applicants – and vice versa. All of those rank lists are plugged into a national database which crunches the numbers to find which program each applicant matches with, and those results are released on Match Day. Once contracts are finalized, NGMC will be ready to announce its inaugural class of residents. NGMC is working to expand to as many as 178 residents across six specialties – internal medicine, family medicine, general surgery, OB/GYN, psychiatry, and emergency medicine – by 2023. That would make NGMC one of the largest graduate medical education programs in the state, with a goal to keep the physician leaders of tomorrow in Hall County, the region and the state. Research conducted by the University of Georgia’s Carl Vinson Institute of Government found NGMC’s residency programs will also have a tremendous impact on Hall County’s economy – with a projected economic output of $66 million from 2019 to 2023, with an additional $18 million local economic impact for each year after. Similarly, the program will generate more than 90 incremental community jobs in 2019, rising to as many as 300 jobs by 2023. Learn more about NGMC’s residency programs at www.ngmcgme.org.